Charter school financial management is complex and can seem daunting, especially to new schools. Charter schools throughout the state have mastered it, however. So don’t let the complexity defeat you. As you move forward with planning and operating your school, you will need expert help. The best place to start is with Charles Speiker at the Minnesota Department of Education. He can be reached at charles.speiker@state.mn.us or 651-582-8737. The Department offers extensive technical assistance, including one-on-one tutoring, and many finance related workshops. Despite their small size, starting and operating a successful charter school is a challenging endeavor. In practice, each Minnesota charter school is an independent school district, responsible for delivering a quality education program while performing all the business and reporting functions of larger, traditional districts. This can be a challenging task for small schools. It is critical that your governing board and administration include people who are knowledgeable in school accounting and financial management. Even when a school chooses to contract with a consultant or management company for business functions, the board and director must have a thorough understanding of the school’s financial operations and be prepared to evaluate the consultant’s work. Ultimately, the governing board is responsible for successful financial management of the school. This responsibility cannot be delegated. The information provided here is intended to be a basic introduction to charter school financial management. This chapter includes introductory information about the charter budget process, including revenues, expenditures, contingency allocation, cash flow projections, and budget balancing and approval. The chapter also includes information about financial reporting. Effective financial management starts with a good budget. A realistic budget is a critical management and accountability tool for charter schools at every stage in their development – for schools that are still in their planning phase and those that have been open for several years. The process of establishing a budget forces schools to review and prioritize programs and activities, helping them allocate resources to areas that are key to academic success. Schools are encouraged to prepare several budgets based on different revenue scenarios. This is especially important during your first few years of operation, until your enrollment is stable. It is important to have a good idea of where spending can be adjusted if your revenue is lower than expected. The operating budget at each phase of a charter school’s development is a reflection of the school’s unique mission, vision, priorities and strategies. Consequently, budgets will vary from school to school. There are, however, basic tools and techniques that can help schools with the budget process. In general, the process consists of five fundamental activities: revenue estimation, expenditure distribution, contingency allocation, budget balancing, and budget approval. When developing budgets, new charter schools are strongly encouraged to contact Charles Speiker at MDE charles.speiker@state.mn.us or 651-582-8737. The budget process includes 5 steps: Estimate revenue, estimate expenditures, establish a contingency allowance, balance the budget, and obtain board approval. While much of your funding can be spent as you see fit on general operating expenses, many funds are designated for specific purposes. When preparing your budget, you should be mindful of any restrictions on the expenditure of revenue. It is not enough simply to compare your total proposed expenditures against your total anticipated revenue. Some funds can only be spent on certain activities and it is important to know how much money is available for which activities. Charter schools obtain revenue from a variety of sources, including, for example, the state and federal governments, private foundations and individual contributions. 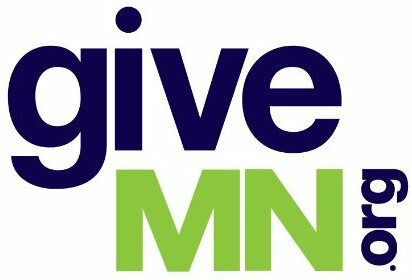 Minnesota Statutes 124D.11 stipulates that a charter school is eligible to receive state aids, grants, and revenue according to Minnesota Statutes as though it were a school district. However, charter schools are not eligible for funds obtained by levy because they are not geographically determined. (They do not have distinct geographical boundaries like traditional districts do.) To simplify matters, charter schools receive a statewide average general education payment that is determined by “weighted average daily membership” (WADMs). WADM is based on actual student attendance, multiplied by a weighting factor that provides more money for students who are deemed to be more expensive to educate. Currently, secondary students (grades 7-12) count as 1.3 WADMs; grades 4-6 count as 1.06 WADMs; grades 1-3 count as 1.115; and kindergartners as .557. To estimate how much general education money a charter school will receive, WADMs are multiplied by the state’s basic aid allocation, which is currently approximately $4,601 (the figure may vary slightly because of regional differences). Under this formula, a charter high school with 300 students will receive $1,794,390 in General Education Revenue. (300 X $4601 X 1.3). A K-3 charter school with 20 students in kindergarten and 60 students in grades 1-3 will receive $359,062. (20 X $4601 X .557 plus 60 X $4601 X 1.115). Basic Skills revenue is composed of compensatory revenue, Limited English Proficiency (LEP) revenue and LEP concentration revenue. Compensatory funds are intended to help schools with the additional costs of serving children from lower-income families. A school’s eligibility for this revenue is determined by the students’ eligibility for free and reduced-price school meals. The number of students with limited proficiency in English determines the amount of LEP revenue. Schools are advised to get help in calculating Basic Skills revenue from the MDE charter school finance officer. Minnesota Statutes, Section 124D.10, subd. 16 gives charter schools the authority to either provide their own transportation services or to use the transportation services of the school district in which they are located. If a charter school chooses to provide its own transportation, it will receive the transportation aid, which in fiscal year 2004 was $223 per eligible student. If the charter school chooses to use district-provided transportation, the school district providing the transportation will receive the transportation aid. For budgeting purposes, it is important to note that the $223 is part of the general education basic revenue of $4,601, not an addition to it. Charter schools that elect to have the district provide transportation will only receive $4,378 in general education basic revenue. Charter schools must notify the districts in which they are located of their transportation choice by July 1. If possible, the charter school should notify the district by March 1 – earlier than the date required by law. Approximately March 1, many districts begin to develop bid specifications for their routes for the upcoming school year. If the districts know that they must provide transportation for charter schools, the additional routes can be included in their route bid specification. For more information about transportation, see the Transportation section of this handbook. Minnesota Statutes, Section 124D.11, subd. 4 allows charter schools to rent or lease a building for the school and apply to the Department of Education for lease aid funds for this purpose. Each school is eligible to receive the lesser of(a) 90% of the approved cost of the lease, or (b) the product of the pupil units served for the current year times $1,200. Each fiscal year, the Department of Education issues detailed instructions for charter schools to make application for lease aid funding. For more information about Lease Aid, see the attached memo from MDE. Charter schools are reimbursed for actual special education expenditures in the same way as school districts. In addition, charter schools are permitted to bill the student’s resident district for any special education costs that are not reimbursed by the state minus any aid received on behalf of each child. Special Education Revenue is generated on a base year revenue formula of charter school expenditures incurred in the second prior year. If there is no prior year special education data (i.e. if the school is in its first four years of operation), the revenue is computed using current year data. Beginning in their first year of operation, charter schools are also eligible for Federal special education funding. By law, special education costs outside of the state formula are borne by the student’s resident district. If a charter school is providing special education services to a student through the appropriate use of the individual educational program (IEP), and the costs of these services exceeds the monies available from the state special education cost reimbursement and any other aid received on behalf of each child, the charter school can bill the home district for these excess costs. Detailed information about Special Education billing is available through the Department of Education. Another source of revenues for schools is the funds gathered from student activities. These funds can be generated by vending machine sales at the school, by sales of t-shirts and memorabilia or even ticket sales for school events. Funds that are gathered from such activities belong to the school and must be accounted for properly. MDE can provide guidance on the management of student activity funds. b. Federal Funding. Charter schools may also be eligible for a variety of federal funding, including federal entitlement funds and funds through various discretionary grant programs. A major source of a charter school’s start-up funding is provided through the Federal Charter Schools Program, described below. Upon receiving charter authorization, schools can apply for as much as $450,000 in Federal start-up assistance. Schools apply to MDE for these funds, as the state administers this grant. Currently, these funds are available over a 36-month period, beginning with a planning year grant of up to $150,000. Subsequent grants for operational years 1 and 2 are also available in amounts up to $150,000 per grant. There is no guarantee on the amount of money available from year to year. These are “up-to” amounts that are based on the overall Federal award to the state and the number of existing and new charter schools approved during the grant period. Charters should anticipate that it might take at least 3 months from the time their grant is approved until funds are actually received. See the attached memo from MDE for an overview of the Federal Charter Schools Program. The heart of the budget preparation process is the estimation of operating expenditures for the coming year. The estimation process can never be an exact science, but historical experience will inform the process and help to improve the accuracy and usefulness of the budget. The experience of other charter schools with similar programs can also provide helpful information. The goal should be to estimate expenditures as accurately as possible and to learn from prior estimation discrepancies. A budget that reasonably reflects the financial activities of the charter school is an effective tool for program managers and the school’s board. Per student cost for instructional supplies, equipment, field trips, etc. Once the revenue and expenditure estimates of the budget are completed, expenditure contingencies should be added to the budget. Allocating a portion of fiscal year revenues for contingencies is an important part of the budget development process. There is significant uncertainty in financial planning and budgeting for charter schools, especially schools in the first three years of operation. Enrollment may fall short of projections. Costs can change with little warning. Operating budgets need to allow for uncertainty. Schools that have been open for a longer period of time will have less need for contingency funds if they have accumulated a fund balance. A fund balance acts like a savings account, providing the school with a financial cushion for unanticipated costs or revenue shortfalls. However, in the first years of operation and in schools with a negligible fund balance, allocations to contingency costs are critical. Once the separate revenue and expenditure portions of the budget have been completed and the contingent expenditures have been added, the total revenues and expenditures must be combined to provide a balanced budget to the school board. Balancing the budget also includes establishing a contribution to the Fund Balance (savings account) according to the Fund Balance Policy determined by the school board. Most schools strive to maintain a fund balance equivalent to 6-12 weeks of operating expense or 8-12% of operating budget. This will be difficult for schools in their first year of operation. First year schools should, however, budget for at least a small fund balance. If expenditures exceed revenues, there are two ways to balance the budget: either reduce operating expenditures, or increase revenues. One way to increase revenues is to work with the Department of Education to ensure that you are receiving the maximum amount of revenues to which you are entitled. Another way to increase revenues is to seek government or private/foundation grant money. Usually, grant funds are tied to special projects or one-time expenses in schools. The grants may not help with the school’s operating costs, but can permit the school to develop new programs and initiatives that it may be unable to fund without outside assistance. Cash Flow Projections — Also critical to the budget process is the creation of a cash flow projection. A school could prepare highly accurate revenue and expenditure estimates and still experience financial difficulties because the timing of funds does not match necessary expenditures. Ultimately, the financial condition of the school depends on the availability of cash to meet financial obligations. Cash flow issues for charter schools are complicated by the education aids formula that pays a school only 80% of its revenues during the current year of operation. The remaining 20% is paid out three to four months into the subsequent fiscal year. In practice, this means that a first year charter must survive the entire school year on only 80% of its revenue. This “hold-back” remains difficult for charters until they are able to accumulate a fund balance. Many charters must obtain bridge financing from a bank to carry them through times when the revenue flow does not cover expenses. Banks will, of course, charge interest for bridge loans. A format for cash flow projection is available from the Department of Education. The final step in the budget process is to obtain board approval. This generally involves demonstrating to the Board that the expenditures are necessary to further the educational goals of the charter school, that the revenues are reasonable and that the fund balance is responsible given the school’s circumstances. Balanced budgets are a key measure of financial viability. Once approved by the Board, the budget becomes an authorized tool of the administration to manage the charter school. Using the budget, administrators manage the charter school in a variety of ways throughout the fiscal year, including: (1) monitoring program implementation, (2) controlling expenditures, (3) tracking revenues, (4) adjusting expenditure plans, and (5) reporting on fiscal operations. Used properly, an accurate budget is an important management and communication tool for the school’s administration, board, and sponsor. Balance sheet – Provides a snapshot of the school’s financial status at a given point in time. It shows what is owned (assets), what is owed (liabilities), and the balance of assets minus liabilities. The resulting fund balance is often viewed as an indicator of the school’s financial health. Income Statement (Revenues and Expenditures) – The income statement measures financial activity over a given period of time. It shows how much is earned, spent, and what is left over. Budget vs. Actual Revenues and Expenses – This report shows the school’s budget and its actual revenues and expenditures and highlights where actual finances differ from what was anticipated. This information can be an effective planning tool for subsequent years of operation. Examples of these reports can be found in the Financial Management for Charter Schools: Policies and Procedures for Effective Financial Accountability manual on the Center for School Change website. Per Minnesota Statute 124.10, subd. 7(i), charter schools are required to obtain an audit and audit opinion from a certified public accountant for each fiscal year (the fiscal year ends on June 30 of each year). The financial statements generated as part of the audit process are similar to those viewed regularly by the board, but are considered final once reviewed by the auditor and approved by the board. Charter schools must budget for annual audit expenses. Charles Speiker, Minnesota Department of Education Charles.speiker@state.mn.us; 651-582-8737. Charter Starters: Governance and Management, LeadershipWorkbook 4 (Northwest Regional Educational Laboratory, 1999). Includes sample budgets and worksheets. Minnesota Department of Education, Memo re Lease Aid (March 2004). Minnesota Department of Education, Memo re Federal Charter Schools Program (January 2004). Financial Management for Charter Schools: Policies and Procedures for Effective Financial Accountability (Center for School Change, 2004) (under construction).